I spent the morning playing with a couple of alcohol stoves. They are the Esbit Alcohol Burner and the Swedish Army Trangia Stove. Both burn denatured alcohol or methanol. Denatured Alcohol is easy to find and cheaper to use than the alternatives. 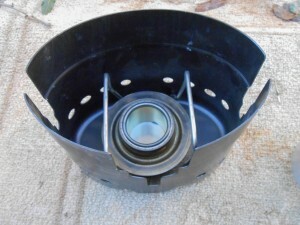 Alcohol stoves are often used for ultralight and long-distance backpacking. The Esbit stove weights 3.5 ounces, the Trangia 6 ounces. There are no moving parts or burners to wear out or break. Just fill them and light. They can be used alone providing you have some sort of pot support with you. Some ultralight hikers use tent stakes to support the pots to save weight. 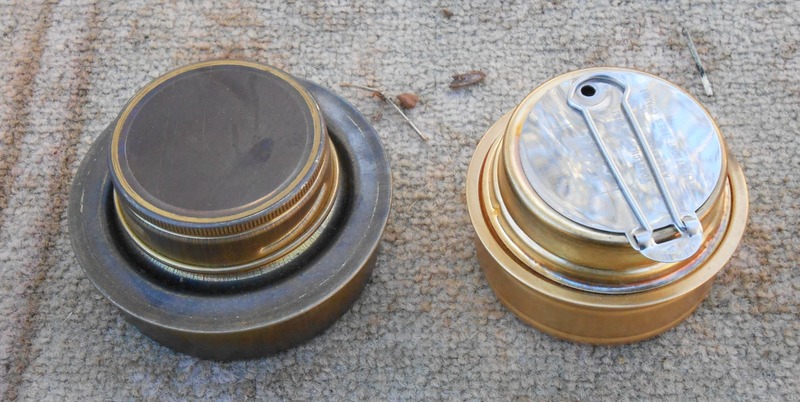 Do not try to use gasoline, white gas or Coleman fluid in one of these stoves. A good source of alcohol for stoves is the automotive fuel line de-icer Heet. It is pure methanol, burns clean with little soot and is available from automotive parts stores. Prices range from around two and a half dollars for the 12 ounce bottle to as little as 80 cents each in quantity or on sale. According to the Heet website, it is available from Wal-Mart, AutoZone, Murray’s, Menard’s, Meijer’s, Kmart, NAPA, Walgreen’s, Pep Boys, ShopKo, Ace Hardware, True Value Hardware, Mills, Fleet Farm, Target, Carquest, O’Reilly’s, Fred Meyer, and Blain’s. Denatured alcohol can be purchased at most hardware stores. Both stoves worked well, although I preferred the Esbit stove because it is a little smaller and it has a second top with a sliding lid that lets you control the heat and stop the burning at any time. This lets you save fuel. 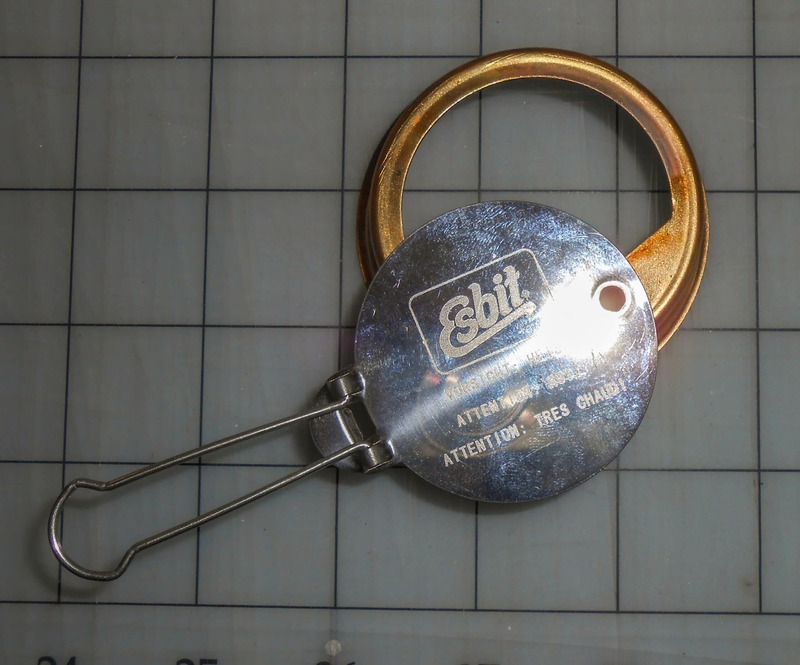 The Esbit stove is distributed in the US by Industrial Revolution; you can go on their website and find the location of a dealer. The Trangia is available in surplus stores. Trangia comes with a stand that I find a bit on the large size. The Esbit stove will work with the stand that is design to fit into the US Army canteen cover. The only problem is that you have to set the canteen cup on the top instead of inside. A commercial stand is available for the Esbit. See http://bit.ly/TTikrR for a description of the US Army canteen, stand and cup. I have never tried it, but it is my belief that alcohol made on a home still would work if it is a high enough proof. 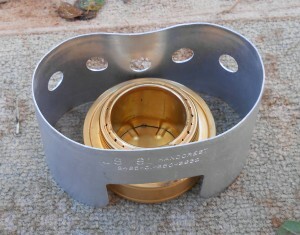 The US canteen stand and cup will work with the Esbit stove if you set the cup on top of the stand. If you set the cup inside the stand it will put the fire out. 10 Egg Substitutes for Baking and Other Cooking. This entry was posted in cooking, fuels, Seventy-two hour kits, Uncategorized and tagged alcohol stoves, Esbit, Howard, Trangia. Bookmark the permalink. I will sell my solid brass surplus Trangia stove (shiny, pretty) shipped to your location lower 48 U.S. for $10. Bought from surplus dealer. Nice looking. No accessories. As a boy scout, I was instructed by a WWII vet to fill a small 6 oz. tuna can about halfway with sand or dirt. Place the cutout lid back into the can, slightly compressing the dirt. Pour one fluid ounce, (we used a metal 35mm film can – remember “wet process”photography?) or about a Chock Full-O- Nuts coffee scoop full of gasoline into your “stove”, then light it by hovering a candle or ember on the end of a long stick about an inch above the stove without actually touching it. This rig burns just long enough to boil a half canteen cup full of water to prepare one freeze-dried entrée, make instant soup or coffee. In Europe during WWII our GIs used K- or later C-ration cans. 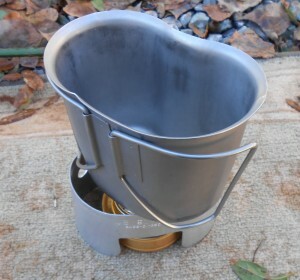 Our Scoutmaster specified that we scouts use tuna cans because their larger diameter and shallow depth made a more stable cooking surface and nest inside a home-made coffee-can Hobo Cooker, http://en.wikipedia.org/wiki/Hobo_stove which was also included in our kit. 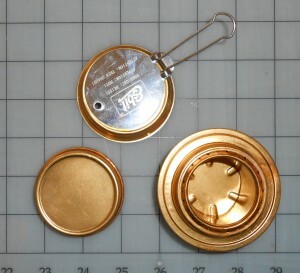 The scalloped edge of the lid produced by using a military P38 can opener, Boy Scout pocket knife or Mil-K-818 provides sufficient venting. If you using a rotary hand-operated an opener make six to ten small notches around the edges of the lid with tin snips or side cutting pliers. Reading the article again I noticed the comment about home distilled alcohol probably working is it was of high enough proof. Living in West Virginia where moonshine whiskey is legally taxed and sold in Mason canning jars at the local liquor store, I did a little research. Alcohol over 100 proof is flammable. Higher proof alcohol produces more heat, so a good source of stove fuel is 190 proof Pharmco brand of ethyl (grain) alcohol USP rather than 100 proof vodka. While you can dilute your “torpedo juice” to safe drinking proof if so inclined, “cask strength” 151 proof rum is readily available, tastes good and is suitable for flaming stuff other than Banannas Foster or Cherries Jubilee. Another potential expedient fuel is hand sanitizer, the common CVS drugstore brand is 65% ethyl alcohol and carries a warning as to its flammabililty. A fluid ounce of the stuff warmed a pint of 50 degree tap water not quite to boiling, just starting to bubble, adequate for making tea, coffee or instant soup. Where I live you can get Everclear in Nevada, most of the time I use Heet that I get from the auto parts. If you can get Everclear it should work. ak gypsy – You are supposed to burn the denatured alcohol not drink it, I see the Alaska inbreeding was not good enough for you to get your two brain cells working together and get that video made. The moose’s rears are pretty sor up there in AK!. I’ve just tried “WetFire” and “Esbit” Tabs for the first time. Now I want to try alcohol as both the tab type fuels are worthless other than to be used as a fire starter. Created very thick soot on my pot that was totally messy and had to be scrubbed off immediately to avoid blackening everything else it touched including hands, gear, pack. And, it failed to bring water to a boil. Not even hot enough for hot chocolate. The entire tab burned for 12 minutes and failed to boil water. It was luke warm just like the WetFire product results. Again, useful mostly for fire starter. I suspect the decades old product called Sterno is about as effective .. which is to say, nearly useless. AS for the moose in Alaska with sore buttts, I had to laugh.